Hey Dena, your cupcakes are amazing! I think your piping skills are fantastic! Thank you for sharing Kathy, your daughter is very talented!!! Eva made this beautiful bouquet for a wedding last year! We can't wait to see her newest creations with an upcoming wedding! Thank you for sharing Eva! 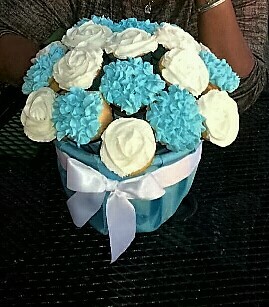 Gail D. made this gorgeous cupcake bouquet. Ah, it is so gorgeous! 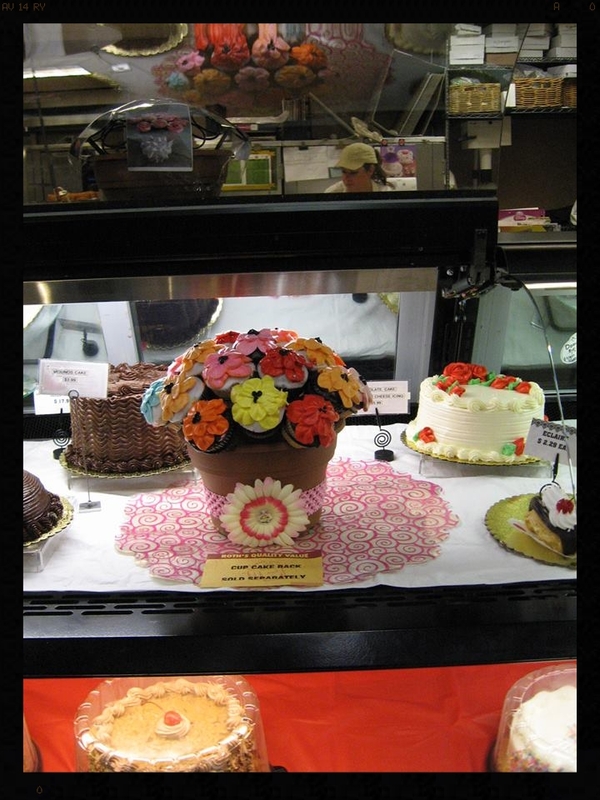 Our SUMMER cupcake bouquet contest using The Cupcake Rack was a great success with these amazingly talented entries! The Apple in the Basket won a $100 VISA gift card! Congratulations Bobbie! Miss Bobbie did it again! Oh Bobbie, your bouquets are so beautiful. Thank you so much for sharing your creative talents with us! Gorgeous creation by Stacy M! Dual colors of frosting really add a flair to this gorgeous bouquet! Thank you Stacy! 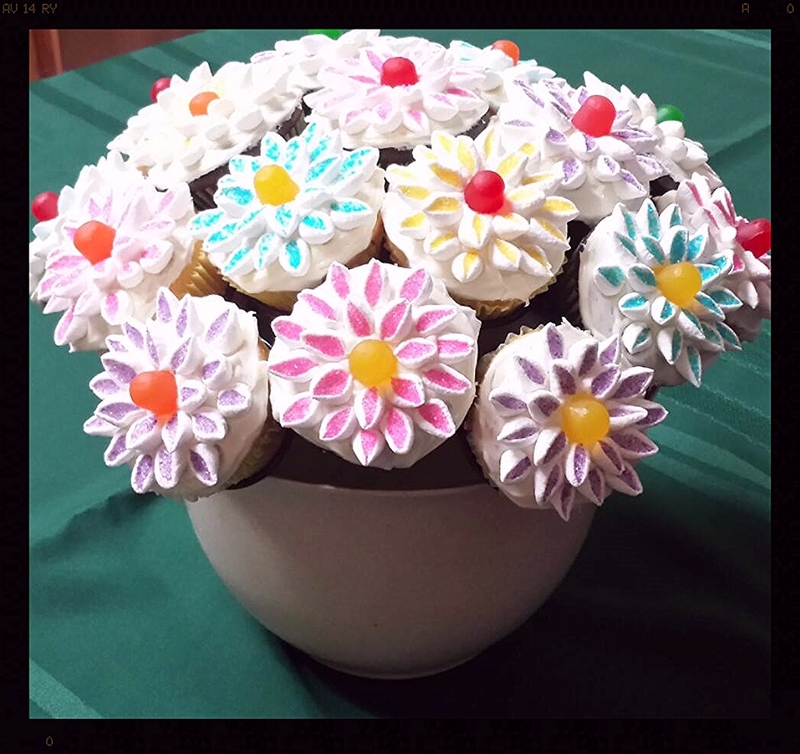 Jaime N. made this adorable ShopKins cupcake bouquet by painting the flower pot that came with her order. What fun with her grandkids! I think I'll try this with my own grandkids! Dear Faye! Your bouquet is so realistic and gorgeous! I just love it! 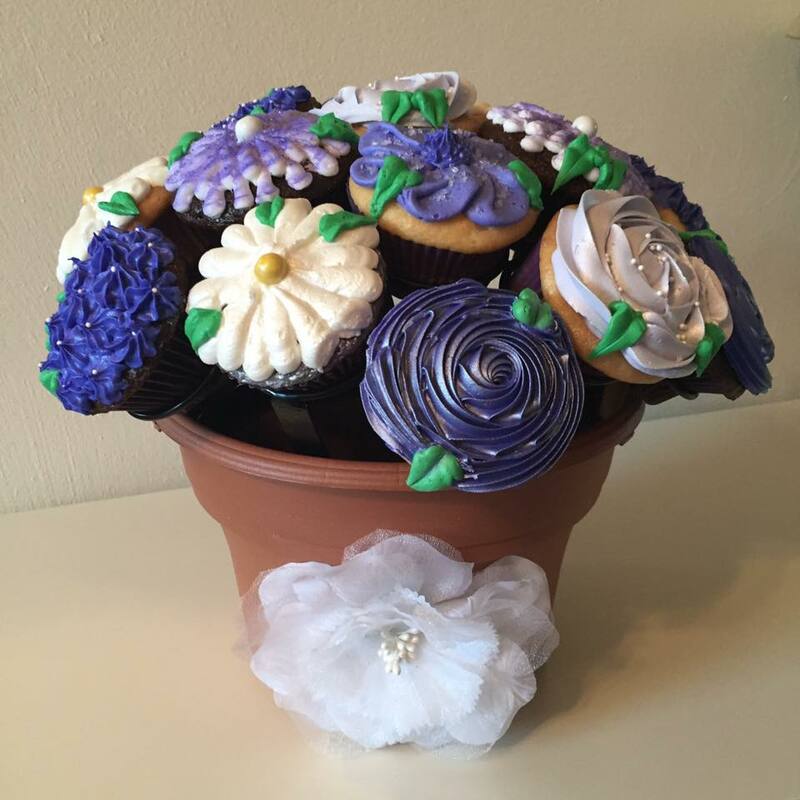 You are an inspiration to us all to try to create beautiful cupcake bouquets! Beautiful Bouquets by Bobbie! How gorgeous are these!!! Bobbie, thank you for sharing your pictures of these beautiful bouquets with us. I love, love, love them! DENISE!!! Your cupcake bouquet basket is so gorgeous and the cupcakes look exactly like real roses! Thank you so much for sharing your talent with us! Please send more photos. We love this bouquet!!! I love the entire gardeny look of the green and white. At first glance, there is not a cupcake in sight, and then...oh! they are cupcakes! Lovely Maureen! Maureen's cupcake bouquets are gorgeous! Thank you so much for sharing your photos with us! Carmel and her lovely daughter Sharni, our loyal and talented customers from AUSTRALIA, have made a very unique, exotic, and beautiful display using The Cupcake Rack! I guess I should head on down under to see this gorgeous creation in person! haha just wishing! Thank you Sharni and Carmel! Your cupcake bouquet is absolutely amazing! ps Sharni---love your unique name! Genna's adorable cupcake bouquet! Thank you Genna for your patience as we desperately tried and succeeded at getting The Cupcake Rack to you in time for your event! What a surprise to BOTH of us when it showed up on time since the post office said for sure that it would take three days to get to you, but it was there in only two! Happy girls!!! It's hard to pick my favorite, the yellow or the purple! They are both so gorgeous! 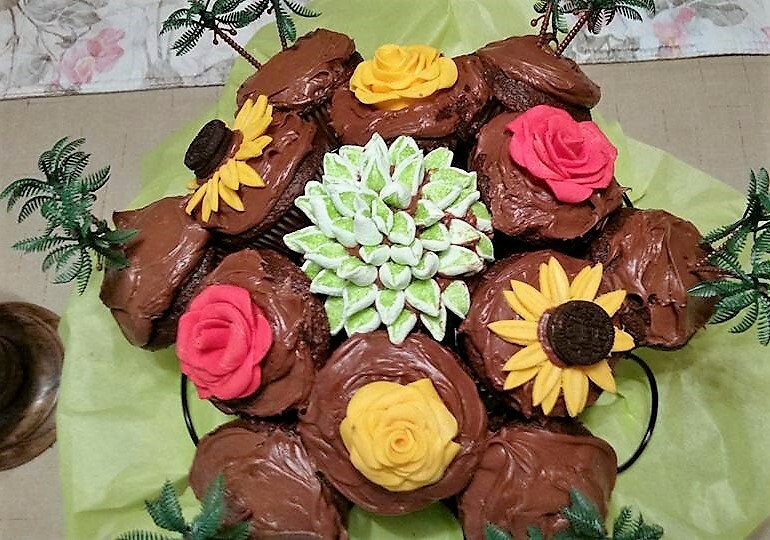 Thank you T so much for sharing your delicious, delightful, and beautiful creations! Wow! Is this a beauty! With the silver flower pot and white and silver bow, the purple flowers and green leaves just pop off the table in this gorgeous bouquet! Thank you T! 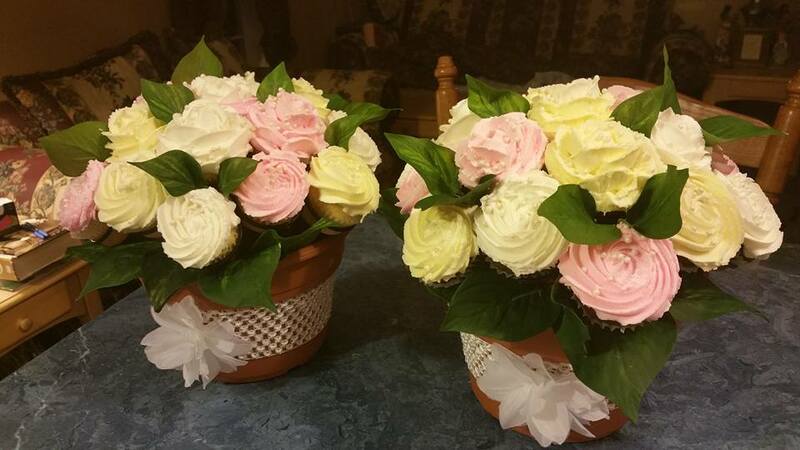 Michelle S. shared this adorable cupcake bouquet she made for her boss! I believe she is the popular one in the office!!! Looks yummy Michelle. Thank you! Chocolate and Vanilla! The classic combo was made by Beeters Bakery in Eugene, OR. Custom Cupcake Bouquets are available at their bakery. Check them out at www.BeekersBakery.com! Heather is filled with talent and you'll love her work! Kelli sure made an adorable assortment of goodies for Easter! The Cupcake Rack is colorful and looks delicious! Thanks to Kelli's mom, Pam, for sharing her photo with us! And thank you Kelli for a lovely Easter display! Oh my goodness Billie Jo! You weren't kidding when you told us you were making a cupcake bouquet! Your talent for decorating cupcakes is outstanding! 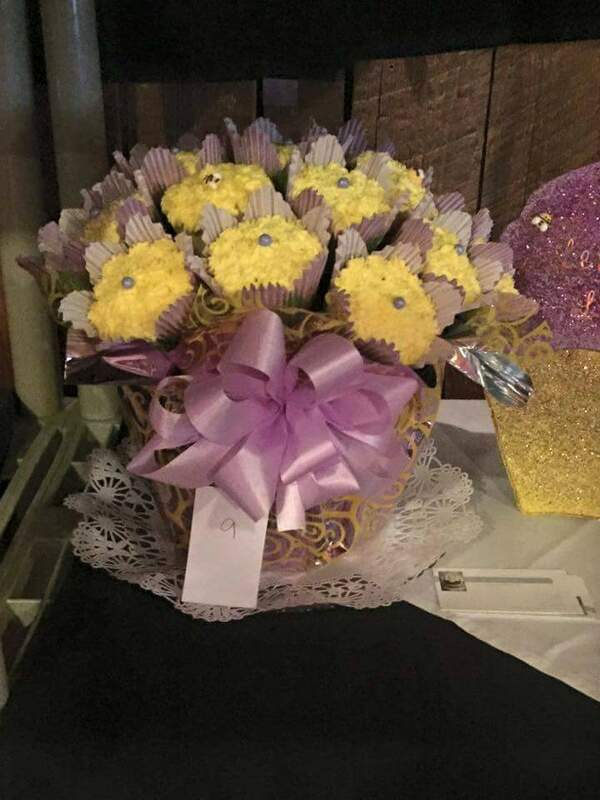 Thank you for sharing your cupcake bouquet photo with us! I love this bouquet! Kathy G. LOVES her new Cupcake Rack and we LOVE Kathy's Cupcake Bouquet!!! Marybeth and her friend created this realistic colorful cupcake bouquet using The Cupcake Rack! So cute! 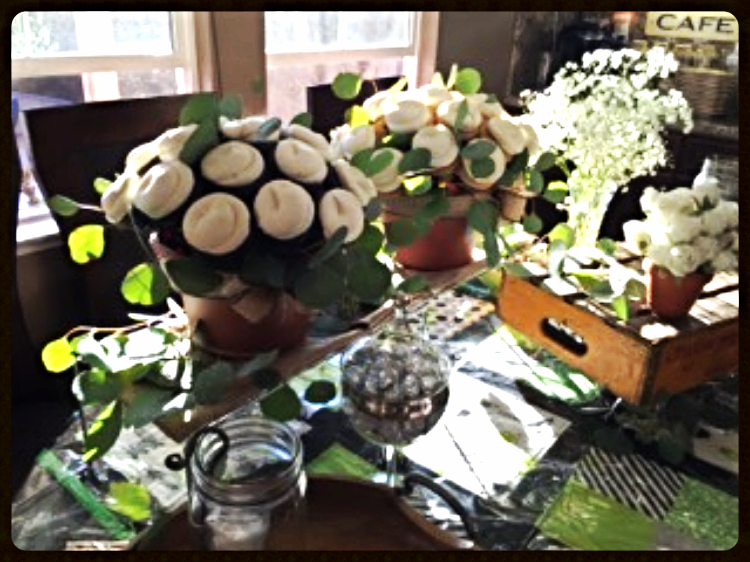 Jenny created this adorable cupcake bouquet using mini mallows! Cut the mallows diagonally and drop into colored sugar. The sugar adheres to the cut part of the mallow. Brenda's Cupcake Bouquet using The Cupcake Rack! 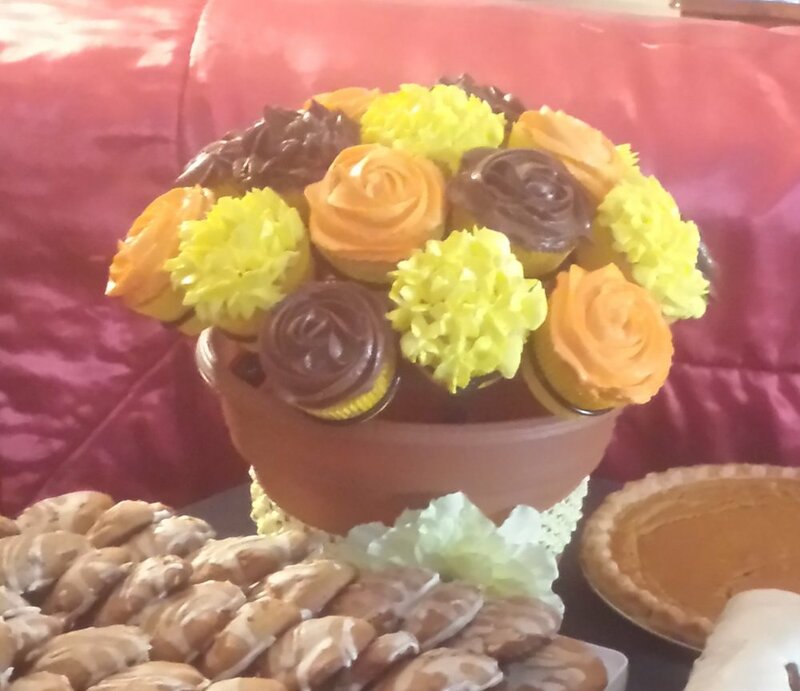 Granny Mary cleverly used The Cupcake Rack to display fresh flowers from her garden. Roth's Fresh Market in McMinnville, OR is selling The Cupcake Rack and has it displayed in their bakery! Thank you Roth's! 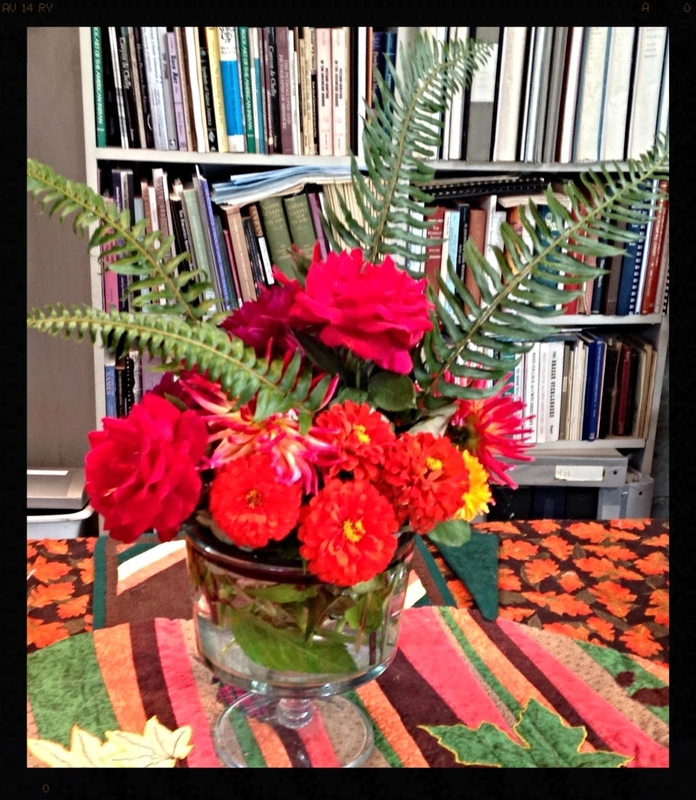 The girls in Tex's office in Citrus Heights made this beautiful fall display! Thank you!!! It's gorgeous.